Looking at this picture, I can't help but think, once again,...what a mess Porsche made with the 718 styling. Don't mind the front but it could hardly be described as an improvement. Prefer the ducktail integration, no Porsche strip and centre exhaust of the 981. Can't spot any other differences. My concerns have also been primarily at the rear. Not sure how I feel about those long skinny red reflectors in the rear bumper that are unique to the 718. Next time I'm at a dealer, I'll pay closer attention to them when viewing a 718 on the showroom floor. 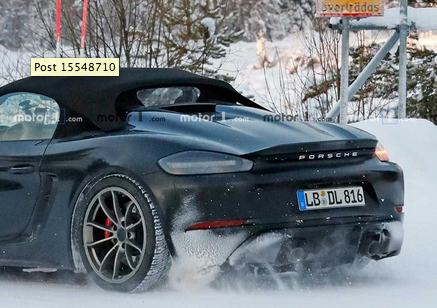 Obviously, the 981 bumper didn't have these so I'm guessing they are purely a stylistic addition on the 718. 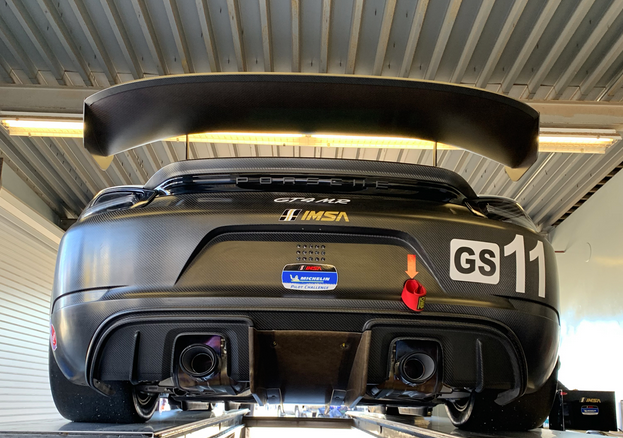 I've got to believe this rear diffuser from the GT4 CS (MR? SRO? 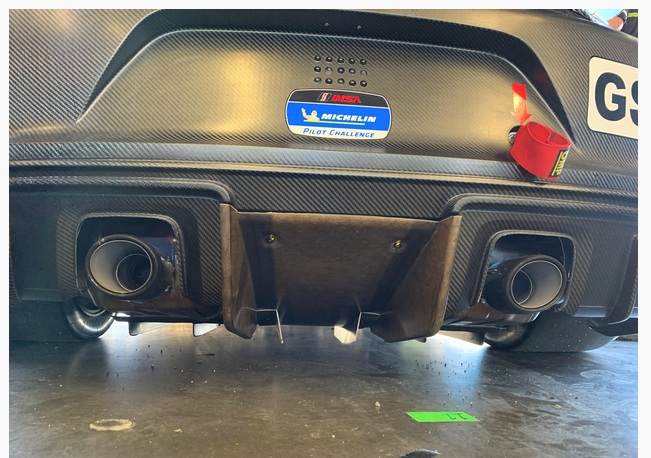 -- I can't keep them all straight) is a better representation of how the diffuser will integrate with the bumper on the 982 Spyder/GT4 (photo credit to BGB Motorsports). It certainly doesn't appear as "tacked on" compared to some of the mules we have seen and is much better integrated, but there's still a lot going on there compared to the 981, whose diffuser is far more "subdued" in comparison. Love my car, but I'm really excited about the 982 Spyder and the next chapter in the ongoing Spyder saga. When I think of how "good" the 981 is and then try to imagine what four years of additional improvements and tech will mean on the new car, it boggles my mind. 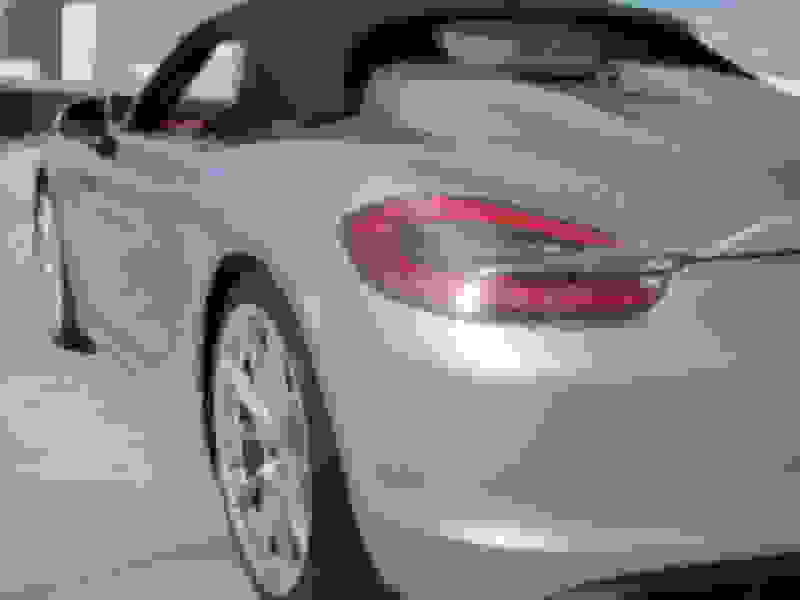 I'm wondering if the "advancement" in the new car over the 981 will be greater than, equal to, or less than that between the 987 and 981 Spyders. I'm starting to think it's going to be greater and, thus, perhaps reflected in the price. 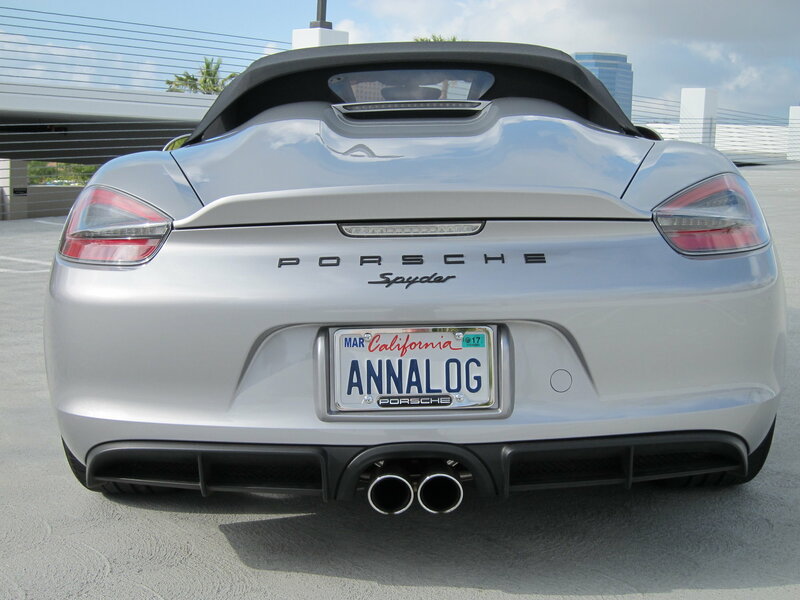 Just hope I get an opportunity to drive a 982 back-to-back with my 981 -- or perhaps not! If it's a GT product with GT suspension that will be a step on. Has also got bigger brakes but doesn't really need those IMO. Would it really be better with MPSC2s? We can all be certain the next Spyder will be faster and have even better cornering capabilities. 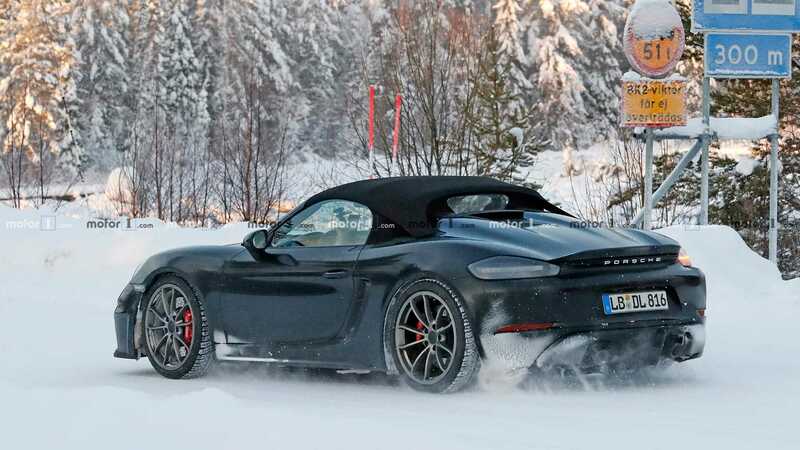 But will the next car continue the driver/car connection and feedback that we have all grown to love with our existing Spyders, that to me will be a more impressive feat if Porsche pulls it off. The 982 Spyder is built on the same platform as the 981, and in general 982 cars have had better steering feel and suspension than 981 models. I don’t see the 982 Spyder being any different - it’ll be strictly superior to the 981 Spyder in both performance and feedback/experience. It’s similar to how the 987 is strictly better than the 986 - same hydraulic steering, with better brakes, better suspension, similar but upgraded engines, and updated styling. The only thing Rennlist can quibble about on the 982 GT4/Spyder compared to the 981 is cosmetic styling. Personally, I prefer the 982 taillight design and don’t mind the rear reflectors. I’m unsure about the new diffuser stylistically, though it should be a lot more effective aerodynamically than they practically non-existent diffuser of the 981. It would be a quick fix if carmine red becomes an option. 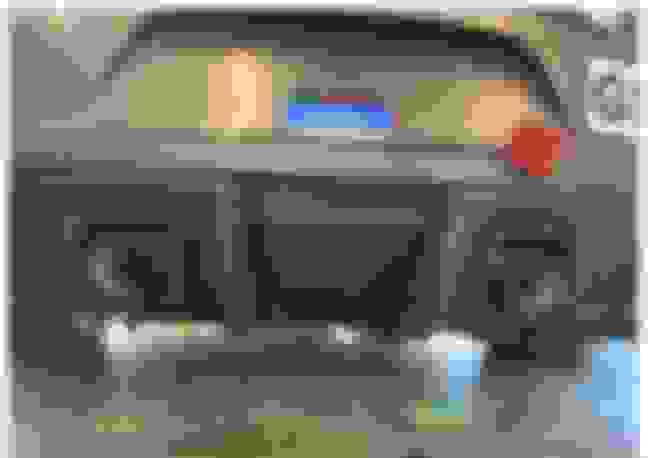 I think DOT changed the height above the ground for the reflectors so now you see reflectors in the bumper instead of in the taillights where they used to be. Check out any new cars on the road they are all down on the bumper in some ugly spot now. Good to know!!! Thanks for the info.